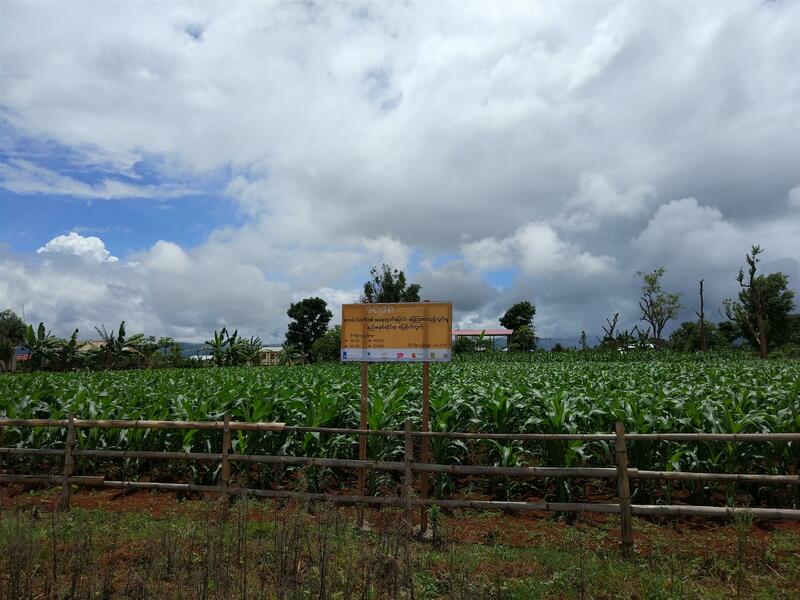 The Fresh Studio corn team spent from 1st June 2018 onwards for setting up 17 demonstration plots in the SAPA training areas in Southern Shan State and Kayah State for the 2018 corn growing season. 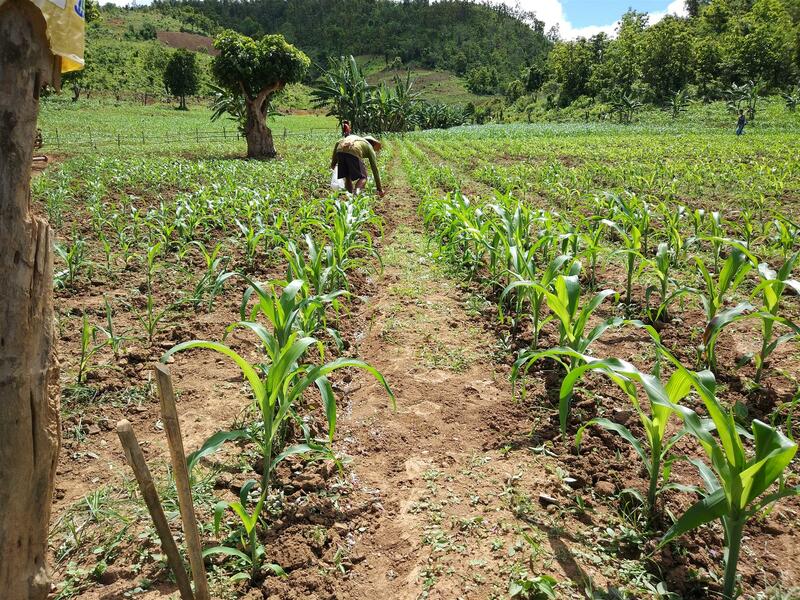 It is one of the crucial parts of the implementation plan under result 4 (Establishment sustainably produced corn farming sourcing system) of SAPA for ensuring yield, plant performance and quality of corn to the farmers. The objectives of the demonstration plot are to show the plant performance, yield and the gross margin analysis of corn grown according to the SAPA standard and compare this to the normal standard (farmer method) and show the results to the farmers. 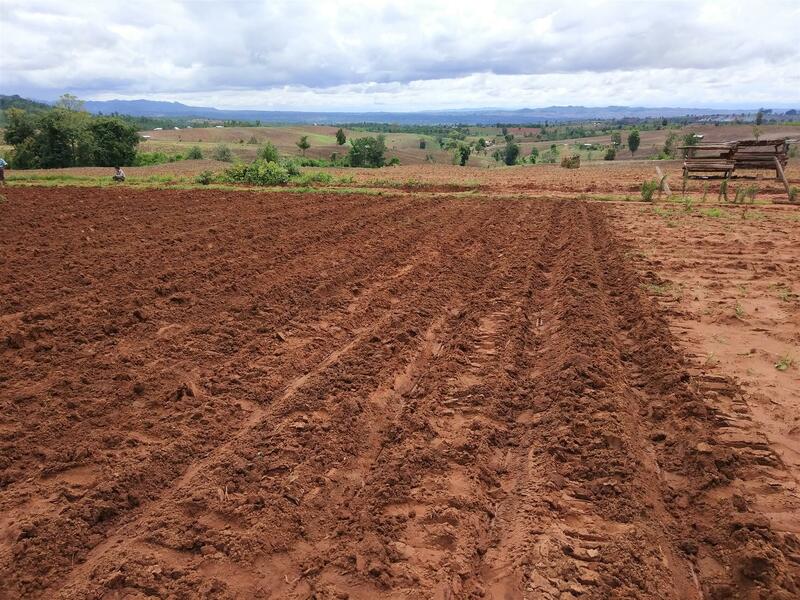 Moreover, these demo plots also introduce the new SAPA fertilizer management system based on soil analysis to the small holder farmers to reduce their costs and make effective use of fertilizer. 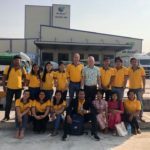 Ko Thein Win and Ma Honey Oo (both agronomists) from Fresh Studio tried to select the suitable farmers together with the extension staff who really want to follow the SAPA guidelines and are very eager to improve themselves after finishing Module 1 (preparation and production) and Module 2 (harvest, post-harvest and record keeping) training. Each demonstration plot has a size of 0.3 acre to 0.6 acre and is located next or within a plot where corn is grown according to the farmer method. In this way both practices (SAPA and farmer) are being analysed and compared in terms of input and output data. Four types of seed varieties named NK621, NK 625, SA282 and CP 808 were used to analyse the yield and plant performance difference during the corn growing season. 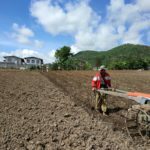 Soil analysis was done before the land preparation to calculate the right fertilizer requirement for N, P, K, Ca, Mg, S, organic matter etc. to reach the target yield for all demo-plots. 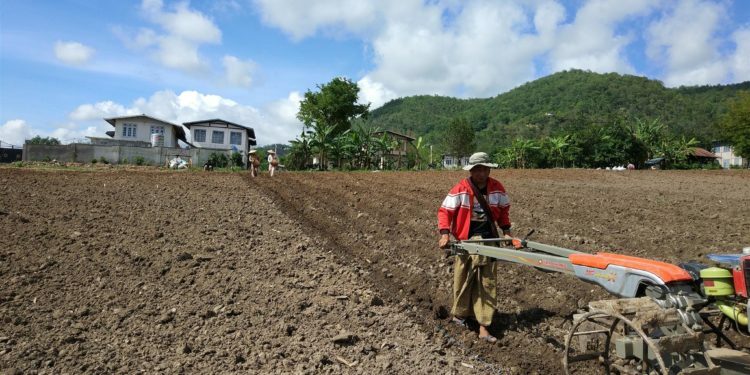 According to the guideline of the SAPA corn production protocol, four-time fertilizer applications: basal, 20 DAS (Days after Sowing), 40 DAS and 60 DAS, should be used. Fresh Studio team supervised on all four-time fertilizer application. And extension staff supports every week by checking through field observation and reports back to the agronomists from Fresh Studio. In the beginning, the plant performance of the SAPA demo-plots are the same as the farmer practice and that’s why farmers had less interest in the SAPA demo-plots. 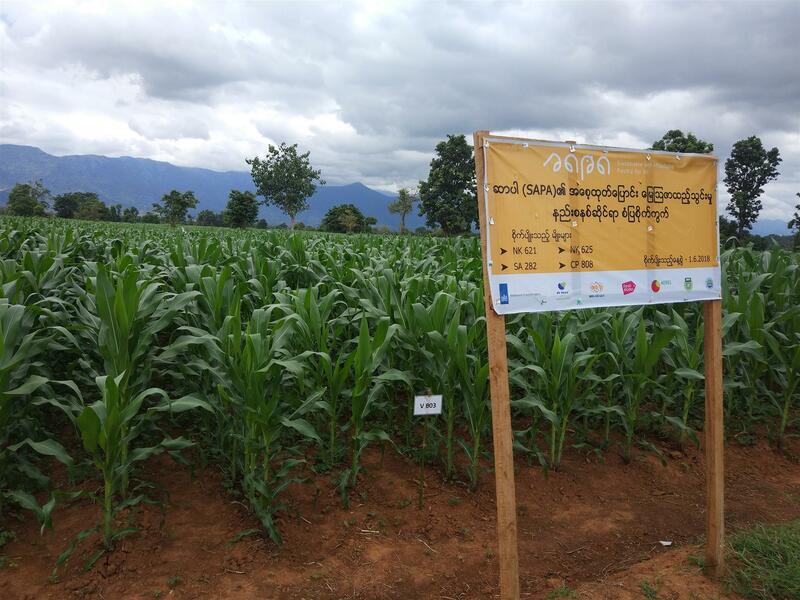 Not only the SAPA demonstration plots but also the farmer corn fields faced sulphur and magnesium deficiencies in around 20 DAS because of heavy rain. After applying 20 DAS (Day After Sowing) fertilizer application in the SAPA demo plots, the plants showed very rapid growth rate and they started to look very healthy: no nutrient deficiency symptoms and free from pest and disease. And this changed the farmer vision who had less interest at the beginning. Most of the corn fields are about 60 DAS right now in Southern Shan and Kayah State. Harvesting season will start in late September. Module 2 training (harvesting, post-harvesting, storage and pest & disease management during storage) will be given to the farmer on 1st September 2018 in order to provide the knowledge of harvesting in advance. Besides the training, subsequently farmer field days will be organised to show the comparison of the yield and profit margin of the SAPA demo-plots in contrary to the farmer method plots to the trainee farmers.